Azerbaijan expects an inflation rate of 4.4 percent in 2015, according to theCentral Bank's report on monetary policy for January-September this year. The current situation in the global consumer markets, as well as the devaluation in partner countries, and the dynamics of money supply have exerted downward pressure on inflation in the country, according the document. The Central Bank's inflation forecasts have demonstrated the practical value of the monetary and exchange rate policies the bank pursued this year. In monitoring the manufacturing sector, the Central Bank registered growth on an index of price expectations in the industrial and service sectors, while the construction sector remained unchanged and trade declined. Earlier, the Azerbaijani government predicted growth in consumer prices of 6.2 percent this year. The inflation rate of Azerbaijan over January-September 2015 was 3.7 percent, according to the State Statistical Committee. Generally, Azerbaijan has seen a drop in prices for 119 goods and services, which are part of the consumer basket, over the first nine months of the current year, while the prices for the three non-food goods and 42 services remained unchanged. The price index of producers in the industrial production sector has dipped by 33.2 percent; in the mining industry, by 37.1 percent; and the processing industry, 8.9 percent over the reported period. However, oil prices have had the greatest impact on the cost of production in the mining industry. Simultaneously, the cost of agricultural production has risen by 4.7 percent over the reported period, while the prices of livestock products have increased by 1.1 percent; crop products, 7.8 percent; and fish products, 3 percent. Earlier, the International Monetary Fund forecasted that inflation in Azerbaijan would be 10.9 percentage points lower than in the CIS countries and 3.4 percentage points lower than that of their trading partners. However, the European Bank for Reconstruction and Development (EBRD) forecasts inflation of 5 percent in Azerbaijan in 2015, in line with forecasts in the annual report of the Transition Report Bank, published on Wednesday. 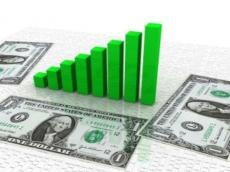 According to the report, consumer prices will rise 6.2 percent in Azerbaijan this year. The EBRD also highlighted that the devaluation of the national currency, the manat, had increased the competitiveness of the country's economy, but at the same time, it revealed the vulnerability of the balance between the financial and manufacturing sectors. The Bank highlighted the existence of a strong liquidity buffer supported by the Central Bank's international reserves and the assets of the State Oil Fund (SOFAZ). The joint assets of the Central Bank and SOFAZ amount to approximately 56 percent of the GDP over the first half of 2015, according to the report. The bank expects inflation in Ukraine to reach 50 percent; Russia,15.5 percent; Belarus, 15.1 percent; Egypt, 11 percent; Uzbekistan, 8.8 percent; Kyrgyzstan, 8.5 percent; Turkey, 7.5 percent; Turkmenistan, 6.9 percent; Kazakhstan, 6.8 percent; Tajikistan, 6.4 percent and Georgia, 3.5 percent.